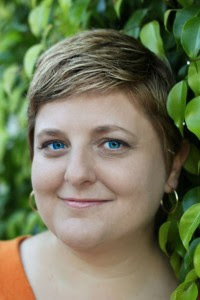 This week's Agent Spotlight features Gina Maccoby of the Gina Maccoby Literary Agency. General fiction, literary fiction, historical fiction, mystery, suspense/thriller, women’s literature, children’s books, picture books, middle grade, young adult. Linda Barnes, John Beeson, Lee Goldberg, Donald L. Miller, Joi L. Morris and Ora K. Gordon, Jean Fritz, Mary Ann Hoberman, Natalie Kinsey-Warnock, Janet Taylor Lisle, Laura Krauss Melmed, Estate of Lewis Mumford, Rick Riordan, Susan Stockdale, Lono Waiwaiole, among others. A list of recent sales and forthcoming titles is available on Ms. Maccoby’s PM page. Send a query by e-mail with the word “QUERY” in the subject line to query@maccobylit.com, or by post with a SASE. See Ms. Maccoby’s Publisher’s Marketplace page and AAR profile for complete, up-to-date submission guidelines. Ms. Maccoby only responds if interested (Link). Stats on the web show a response range of days to a few months. Gina Maccoby is a veteran of the industry and a passionate author’s advocate. She represents Rick Riordan, Mary Ann Hoberman, Janet Taylor Lisle, and Jean Fritz among other prominent children’s book authors. Gina Maccoby Literary Agency at P&E ($, AAR). Please see Ms. Maccoby’s Publisher’s Marketplace page for contact and query information. Last Reviewed By Agent? 11/30/12. Today I’m super excited to be a part of Lisa and Laura’s Blog Tour for THE LIES THAT BIND, book 2 in THE LIAR SOCIETY series. It was released on November 6, 2012. 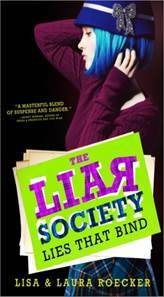 For a while, I didn’t think it’d work out for us to participate in the blog tour because of what we already had scheduled and I was so bummed because THE LIES THAT BIND sounds like a fantastic sequel to THE LIAR SOCIETY. But luckily it worked out. So we had planned an interview with Lisa and Laura, but that didn't work out. So instead I have a fabulous guest post on how to create quirky but believable YA characters. Who doesn't need help with that? We’re old. Not old-old, but old enough. There’s always risk in writing for teenagers when you’re not, in fact, a teenager. We had all these goals for Kate—we wanted her to be independent and funny and cute and smart and sad and lonely and loving. The list goes on and on. But we needed to ensure that she wasn’t a thirty-something trapped in the body of a neon-haired detective. Because, let's face it, there's nothing worse than a bossy thirty-something trapped in the body of a blue-haired teen. So we channeled our inner-YA, our awkward high school selves, and imagined who we always wished we could have been. We thought we knew everything in high school, we had it all figured out so we needed Kate to have a little of that—most teenagers do. Kate is extremely goofy and makes us laugh out loud. This is actually very sad because it means that we’re laughing at our own jokes. The reality is that as we switch the book back and forth while drafting, we’re always trying to one-up the other sister. Our main goal is to play make-me-laugh with the manuscript (or make-me-scared, make-me-cry, etc., depending upon the scene). Kate is also very sensitive, even if she doesn’t show it all the time (what teenager does?). She’s fueled by her love for Grace and her need to right a wrong. She takes advantage of her devoted neighbor Seth, but sometimes she lets her guard down just long enough for the reader to witness her love for him. It will take a long time for her to learn that Seth is the kind of guy she’ll want to marry! Liam and Bradley are there to mix things up even more. Each of these characters help define the true Kate Lowry. But at the end of the day, Kate isn't perfect. She says stupid things, judges people way too harshly and generally makes a ton of stupid mistakes. But she's a TEENAGER. A very imperfect teenager. But fun and brave too. Part of our goal when we started writing The Liar Society Series was to chronicle Kate's journey as she slowly grows up and in THE LIES THAT BIND, Kate takes one more step toward adulthood. And maybe even half a step backward. Hey, no one ever said growing up was easy! Lisa's and Laura's publisher generously offered a copy of LIES THAT BIND for a giveaway. To enter, all you need to do is be a follower (just click the follow button if you’re not a follower) and leave a comment by midnight on December 15th. I’ll announce the winner on December 17th. If your e-mail is not on Blogger, please list it in your comment. If you mention this contest on Twitter, Facebook, or your blog, mention this in the comments and I'll give you an extra entry.This giveaway is for US and Canada only. And don't forget to enter my giveaway contests for RENEGADE, PASSION BLUE, and WRITING IRRISSISTABLE KIDLIT by Mary Kole. The links are at the top of the blog. Next Monday I'm interviewing debut author Kasie West and giving away a copy of PIVOT POINT, a fascinating dystopian novel I couldn't put down. Next Tuesday, I'm doing my annual Holiday Hop Book Giveaway. I can't wait for you to see all the great choices. Hi Everyone! I hope that all of you who celebrate Thanksgiving had a great holiday. We had a nice quiet one, which was just what we needed. Before I get to my awesome interview today, I need to announce the winner of ROOTLESS. The winner is BECCA FOWLER! Congrats! E-mail me your address so I can send me your book. Please e-mail me before the end of Wednesday or I'll have to pick a new winner. 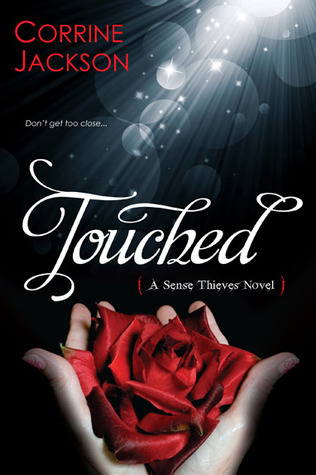 Today I’m excited to interview Corrine Jackson about her new paranormal book, TOUCHED, which releases tomorrow. 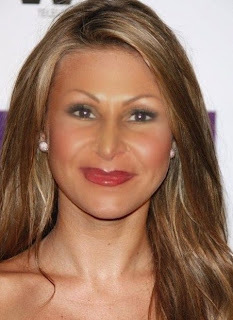 Corrine’s first book, IF I LIE, was released August 28, 2012. In TOUCHED, I really enjoyed the contrast between Remy’s healer powers and Asher’s inability to sense much. And Remy is such a strong character, especially given how much she goes through. That compelled me to keep turning the pages to find out what happened to her. Hi Corrine. Thanks so much for joining us. I drink way too much coffee, am a complete slob, and read books in a single sitting. And I’m addicted to Kraft Mac and Cheese and puppies, though not in that order. I was a shy, quiet kid who wrote short stories as a kid. I wanted to write, but never considered it a viable career so I went another direction career-wise. However, I couldn’t get rid of the bug. I have a master’s in English and a professor told me I had talent, which led to me applying to an MFA program. That was in 2008 and it was the first time I started taking my writing seriously. I wrote three novels over the course of my MFA program – TOUCHED, IF I LIE, and TOUCHED 2. The writing thing definitely has a hold on me now. 2. I totally love that you're a coffee drinker like me. One of the things I enjoyed was the intention that went into creating the powers of the Healers in contrast to the experience of their enemies, the Protectors, who have little sensory experiences. Share a bit about how you developed this into your story. Remy came to me with her Healer powers in tact. Touching people can cause her great pain, and she hasn’t known a lot of kindness. When I tried to imagine her counterpart, the hero had to have a depth of experience that would mirror hers so that they would have a kind of kinship. And so I imagined, what if he couldn’t feel anything at all – the opposite of feeling too much as Remy does? Using that as a base, the rest of their world started to come together. 3. That's so awesome that you thought of this. Because it's fascinating to watch the interaction of Remy and the hero. I really liked Remy. She’s had to deal with an abusive family situation, a mother that didn’t protect her, and starting a new life with the dad she never knew. What were some of the challenges in developing her as a strong character rather than a victim and how did you overcome them? I had read a few novels where the heroine had an ability, but her power didn’t come with a high cost and – WAY too often – a boy came along to save her. I thought it would be more interesting if the heroine were someone who saved others. And what if it cost her something every time she made the decision to save someone? Would she still choose to use her powers? These questions and their answers led to the creation of Remy. She wants to save others because, deep down, she really wishes that someone had saved her when her stepfather started hurting her and her mom. The thing that makes her strong comes from a place that she considers her greatest weakness – her inability to save herself. She can’t see herself as a hero, but she refuses to be a victim. It’s a balance that she is always fighting. 4. I always love a strong heroine like Remy who can save herself instead of rely on a guy to do it. You deal with the touchy subject of abusive families and there are some graphic scenes of this in your story. What advice do you have for the rest of us thinking about writing about such sensitive topics in a realistic fashion? Research, research, research. I read up on what it is like to be a victim of domestic violence, and then did a gut check to ensure Remy’s reactions were in line with what I’d learned. I also had a trusted friend read the manuscript. She’d grown up in an abusive household and offered me a unique perspective. Mostly, I trusted my instincts, imagining how a girl like her would respond to the people around her. At the end of the day, Remy desperately wants to be loved, even though she’s learned to never trust the people around her. Her reactions are driven by that. 5. That was nice of your friend to read the manuscript because it probably brought up painful memories for her. Your book, IF I LIE, was your debut book. It released on August 28, 2012. Tell us a bit about it. IF I LIE is about a girl who is condemned as a traitor by her small military town when they think she is guilty of cheating on her boyfriend, a Marine who has gone MIA. What they don’t know is that she could clear her name, except she’s protecting someone. 6. Sounds like an awesome story, especially because it's set in a military town. Your agent is Laura Bradford. How did she become your agent and how did you get two book deals with the books being released a few months apart by different publishers? I queried Laura with TOUCHED, and she made me an offer. The funny part of the story is that I followed her on Twitter and she was tweeting about my manuscript as she read it. That’s how I found out I was getting an offer from her. After we made some edits to the manuscript, we went on submission. Sadly, I didn’t sell right away, but while on submission, I wrote IF I LIE. IF I LIE sold quickly and a month later TOUCHED sold in a three-book deal. That time on submission was hell, but it taught me a valuable lesson – always keep writing. 7. That would be a reason to join Twitter. How are you marketing your two books, especially with their release dates? And what’s it been like having TOUCHED release first in Germany? I can’t really complain too much about having books release three months apart, but I won’t say it’s been easy. For instance, my first pass pages on TOUCHED were due the day of my launch party for IF I LIE, so I was rocking serious bags under my eyes that day. I’ve tried to take it one book at a time, focusing on IF I LIE and then TOUCHED. There’s some crossover, especially with events, but I do the best I can. And when I start to get a little ragged around the edges, my friends and family step in to help. As for TOUCHED releasing first in Germany, a lot of people ask me why the series is releasing about ten months earlier over there. It comes down to contracts and publishing schedules, nothing more. The German fans have been so lovely, and I even got to visit them in Stuttgart in July, which was a dream come true. It was surreal to see my book in German bookstores. 8. Wow! That's cool that you got to visit with your German fans. Not all authors get to do that. I know you work full-time. You’re my hero juggling two book releases with that. How do you do it and what advice do you have for us aspiring authors who need to keep their full-time jobs too? It’s difficult to manage two careers. When you add in the fact that authors must market their books, too, it’s almost like three careers. I’m still trying to figure out how to find the right balance, and I fail some days. Sometimes, I find my creative reserves depleted. I’ve had to learn to say no to certain opportunities or to step back from social media from time to time so that I can focus. Basically, there’s no magic formula. I have to be disciplined and make the most of every hour. I schedule my days to ensure that I have time to work everything in, and I prioritize the best that I can. And I go without TV sometimes. Thank goodness for Netflix. 9. Darn it, I want a formula. Just kidding. But I can definitely relate to going without TV. What are you working on now? I’m working on the third book in the Sense Thieves trilogy (TOUCHED #3). Plus I’m working on a new contemporary. Thanks Corrine for sharing all your great advice. You can find Corrine at her website and at Twitter: @Cory_Jackson. Corrine's publisher generously offered an ARC of TOUCHED for a giveaway. To enter, all you need to do is be a follower (just click the follow button if you’re not a follower) and leave a comment by midnight on December 8th. I’ll announce the winner on December 10th. If your e-mail is not on Blogger, please list it in your comment. On Wednesday, I'm participating in Lisa and Laura Roecker's blog tour and giving away a copy of their new book, LIES THAT BIND. Natalie here today. Today we have a tip from Sherry Soule who is a published author (a blurb about her book is at the end of her tip) and blogs at Fiction Writing Blog. Be sure to check out her blog. I write a popular series on writing description for my Fiction Writing Blog, and I’ll share one of those tips today. One of my pet peeves is the overuse of dialogue and action (gestures and facial expressions) tags that get used so much they've become stale and cliché. Use your imagination and try to be more creative and limit your use of certain gestures and expressions that are commonly abused in fiction. You may not even be aware of them, but I bet you will be now. One method that helps, and you may feel silly doing it, is to act out the scene. Think about how you personally would react. Remember, that women are more expressive and animated than men, and most men are reserved and less emotional. Women talk with their hands and generally, men do not. Writers can SHOW the reader more effectively what’s going on or even what’s not being said by including a significant percentage of dialogue beats in their scenes, as long as they are original. Or turn common generic tags into fresh ones. Hope my advice helps! They say every town has its secrets, but that doesn’t even begin to describe Whispering Pines. The townsfolk are a superstitious lot and the mystical disappearance of a local teen has everyone murmuring about a centuries old witch’s curse. . .
Sixteen-year-old Shiloh Ravenwolf is a heritage witch from the Broussard family, a family both destined and cursed. After she takes a summer job at Ravenhurst Manor, she discovers a ghost with an agenda. That’s where she meets the new town hottie, Trent Donovan. But Trent may be the next victim on the supernatural hit list, and Shiloh is the only person with the power to save him. After receiving cryptic messages from a creepy wraith, and then frightening threats from a demon, Shiloh finally begins to understand the mysterious significance of the strange mark branded on her wrist. Now Shiloh must decide how much she’s willing to sacrifice to protect the other teenagers in town.